Enjoy 20% OFF your order during our 3-day sale. Treat yourself to some big savings! 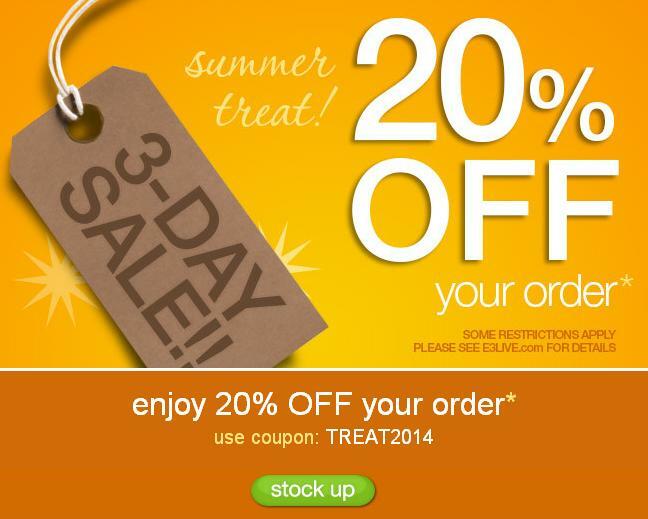 Offer ends July 31st at midnight – just enter coupon code: TREAT2014 in the checkout to save 20% on your order, regular offer details apply.